This book is every ecommerce project manager’s new best friend. At last. All the questions you need to ask when building your online store in one spot. Not more second guessing if you’ve covered off everything. We’ve got your back. We’ve got your book. It’s available now for only $100 US including delivery to anywhere in the USA. Two digital veterans have created your ultimate ecommerce project management checklist. You don’t know what you don’t know. And in an industry where new technology, new markets and new innovations happen almost daily, ecommerce is the poster child for this adage. Ecommerce is harder than many people think. And for many, you don’t know what you don’t know about getting ecommerce right, until you’re neck-deep in project overruns and it’s two weeks out from Christmas. And really, who wants that? 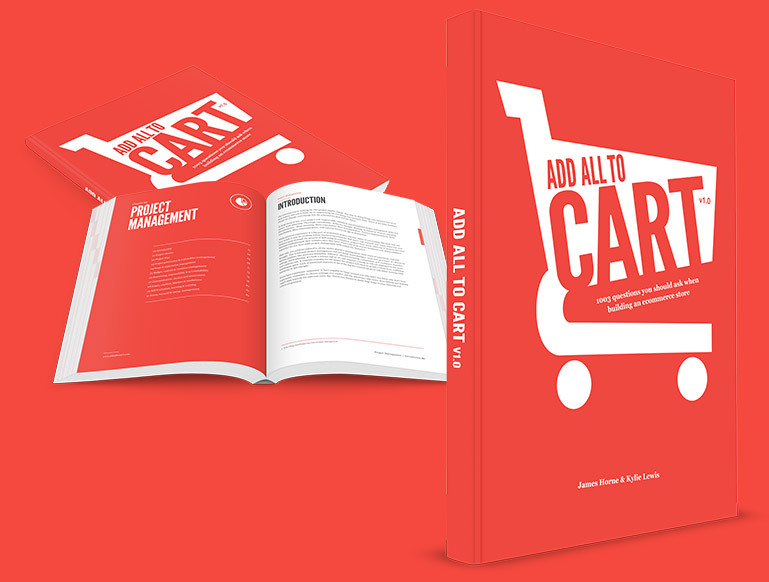 Add All To Cart v1.0 poses over 1000 questions and provides guidance and thought-starters about where to find the answers. Depending on who you are, this book will either be a checklist, a to-do list, or a validation that you’ve got your bases covered.